At first glance, the worlds of math and the arts might not seem like comfortable neighbors. But as mathematician John D. Barrow points out, they have a strong and natural affinity—after all, math is the study of all patterns, and the world of the arts is rich with pattern. 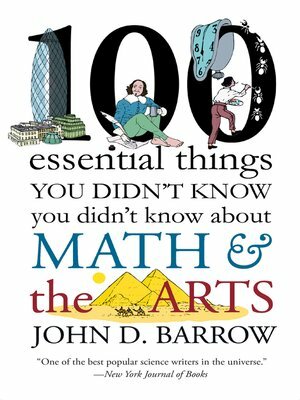 Barrow whisks us through 100 thought-provoking and often whimsical intersections between math and many arts, from the golden ratios of Mondrian's rectangles and the curious fractal-like nature of Pollock's drip paintings to ballerinas' gravity-defying leaps and the next generation of monkeys on typewriters tackling Shakespeare. For those of us with our feet planted more firmly on the ground, Barrow also wields everyday equations to reveal how many guards are needed in an art gallery or where you should stand to look at sculptures. From music and drama to literature and the visual arts, Barrow's witty and accessible observations are sure to spark the imaginations of math nerds and art aficionados alike.